It’s only been a weekend, but it feels like I’m just now getting back to teaching after a long hiatus. It felt good to be in the classroom today, interacting with and guiding my students. I had one student meet me during my office hours that reminded me that part of my role as a teacher is to give confidence to my students. Like so many other students in this class, this student felt overwhelmed with the Introductory Statistics course I’m teaching. It’s a notoriously difficult course, and most students feel like they’re drowning. So, it was time for a little pep talk. She’s a great student who is doing quite well in the course. The only problem is that she, like almost everyone else in the class, is afraid of falling behind and not getting it all. 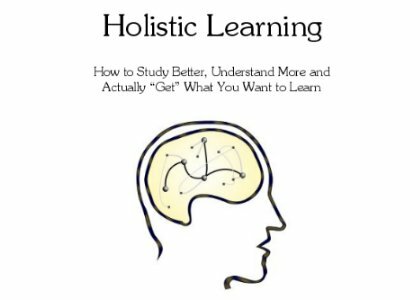 So we spent about a half hour talking through techniques to give her more efficacy in her learning. She seemed relieved, and then it hit me: “We have to help our students understand that they are capable of learning.” So often, students feel defeated in the classroom and this just makes learning inabilities spiral out of control. To help prevent this, I affirm my students of their capabilities, point out where they are excelling or doing well, give them specific examples of ways they can improve their learning and understanding, remind them of how this learning is building on the future for them, and finally try to make it fun and less intimidating. I’m slowly learning that good education outcomes are part curriculum, part student capabilities, but a huge part good pedagogy and encouragement. I’ve spent the last couple of days in D.C. learning about technology in higher education at the annual Educause Learning Initiative (ELI) conference. It has been mind blowing. In a good way. At first, I felt really out of my element since my normal work conferences consist of fraternizing with social psychologists. However, I have quickly stepped into this spot with an excited appetite. And I AM ENERGIZED! This morning, I attended a session given by Diana Rhoten of Startl, a company devoted to helping jumpstart technological education platforms and companies. Diana discussed the growing concern of America’s schools systems as we rapidly fall behind other countries in academic achievement and performance. With references to the popular film, Waiting for Superman, she advocated giving power to the “superheroes” who are using technology effectively to rethink education. I will quickly drive home to the main point she made that I loved: we need to completely rethink education in order to use technology to improve education effectively. It’s not enough to take old methods and then put them online. Rather, we need to rethink how learning and education work within a technological platform. In short, we need to think of technology as the medium to improve education. However, this will never happen if we don’t encounter technology as what it is: something completely different than what we’ve seen or used before. We’re talking gaming modes of learning, augmented realities, and crowdsourced interfaces. I could keep talking about this, but I’d rather show you. Here are a few GREAT examples of companies engaging in creative, emerging technologies which help improve learning. These types of ideas, if adopted on a wide scale across disciplines, have the ability to completely change education as it is (failing) today. Comment about your thoughts on these creations! I’m curious to hear them! 1. Project Noah – a tool for collecting field data about the environment, mapping various organisms and habitats, and interacting with your local environment. The nerd scientist in me LOVES this innovation. 2. Mind snacks – mobile learning games that utilize game play to help individuals LEARN. Currently, their platform is for learning Spanish, but other games are expected to come out soon. You can learn Spanish in a fun, engaging environment on the go by downloading these mobile apps to your iPhone or other mobile device. Wow. Education is cool. Come on, people. Let’s get with it. I think these definitions merit a pause, a brief reflection, if you will. Imagine an educational systems where everything is “correctly seen in terms of interacting wholes that are more than the mere sum of elementary particles [parts].” When I talk about interacting wholes I mean everything. I mean courses, ideas, communities! What if undergraduates, graduate students, faculty members, librarians, and administration all worked together to form a holistic community of thinkers? What if courses all complemented each other and students didn’t have to learn in boxes? What would that world look like? I’ll tell you. Well, I’ll tell you in part with a few of my own experiences in getting a glimpse of this. It would be all of the above individuals interacting as equal wholes with different skill sets. The faculty members could move and shape and coach things into being. The graduate students, with their young hungry minds, could implement and create and interact. The undergraduates could react and act again. They would be the huge sounding board for these ideas. What was once mere ideas would become realities in the student community. Administrative staff would encourage and implement programs that sought out new, effective ways of learning. And librarians, well, they’d be awesome at implementing research and excitement and new tools. It would be glorious. On the course level, classes would no longer be Statistics 101, Biology 102, this elective here, this specialty there. NO. The university would be a place where constant connections were being made and in which every class could somehow inform and complement others, no matter the field. Students would begin to think holistically. They would think not about how they must memorize this formula or write that term paper, but rather how this formula informs them about the world they live in and that term paper would be about something they are passionate about learning more about and forming thoughts about. Think I’m delusional? Fair enough. But I’ve seen glimpses of this in my own experience in the university. For instance, when I was an undergraduate, I was part of a program at Baylor University called the Baylor Interdisciplinary Core (BIC). The BIC provides a holistic approach to education. In it, students meet their core requirements by taking a series of courses that are designed to be integrated. Philosophy connecting to art connecting to history to political science to math to science and everything in between. The BIC teaches you how to make connections between the knowledge you are acquiring and forces you to get outside of the classroom to implement that knowledge (quite literally – they take several field trips). In the BIC, my learning came alive! And not only was my curriculum holistic, so was my learning community. At the time I didn’t fully understand the depths of it, but all of the BIC faculty members called us, the students, their colleagues. They did this because they viewed us as intellectual peers who had something valuable to add to the classroom. We MUST stop treating students as if they are only their to glean our wisdom. Rather, we must see them for what they are or at least should be – the life and heartbeat of any campus. Once we do that, we can begin to learn so much from our students. Let’s take this thought experiment even farther. Universities communities should not be limited to one’s own university. Rather, universities should be connecting to other universities in a way that creates a weblike fusion of connections. Networking. The internet. Connections. These are important to the progression of the educational field. We must learn to collaborate and connect with those in other places so that we can take the most holistic approach to education. I can learn something entirely different from my peers at my university, those from East Asia, those from a liberal campus, those from a conservative campus, those in the Middle East, and even the community colleges in my own city. I’m entirely aware that my thoughts may seem too idealistic. I would tend to agree with you, especially since I often think of myself as a realist. But I’ve seen this model work effectively in small pockets time and time again, and I think it’s about time we start to bring it to the forefronts of education and the university. So I ask, “Why do we settle for so little in education when we could achieve so much?” Certainly there are several barriers to overcome. I do not mean to downplay those. But we need individuals fighting for a change in the often rigid texture of university life. If my time in BIC taught me anything, it’s that learning is a fun, thrilling adventure when people let you explore. And great change never came from retaining the status quo just because it was already there.